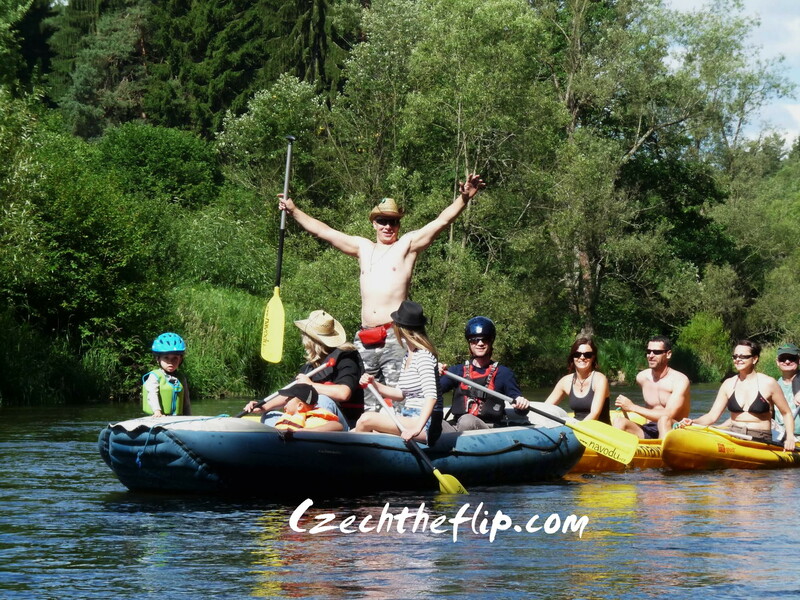 One of the most popular past times among Czechs is water rafting and canoeing. 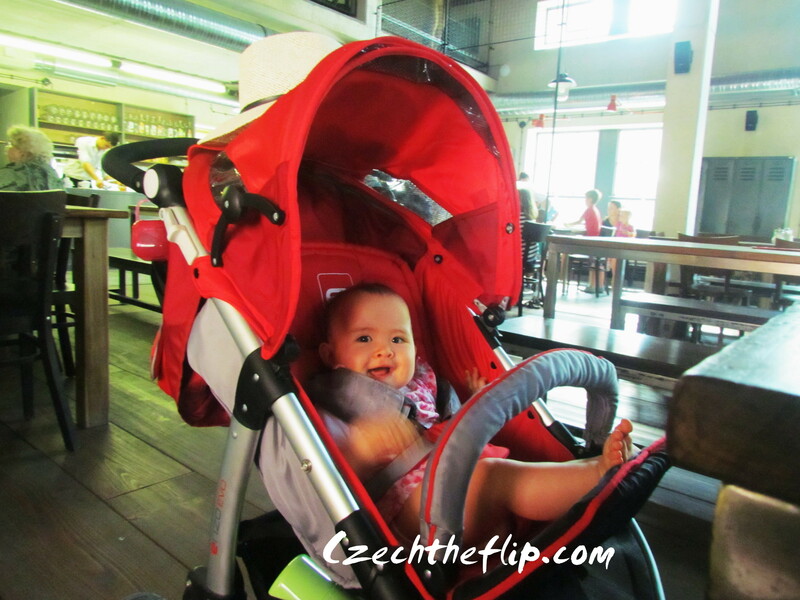 A couple of weeks ago, we were with some friends in Kemp Branna, a camp close to the Vltava river. The main purpose of our trip was water rafting. It was also the first time for us to go camping with the kids. Although, we didn’t stay in a tent because my daughter was way too young for this kind of accommodation. There was an option to stay in a little cottage, so that’s what we opted for. The camp was quite nice and the facilities were clean and very well-developed. The day we arrived, my kids immediately socialized at the camp. Because my daughter is still a baby, we decided to split the next day’s activity. The boys went with the rest of the group on a raft, while we girls spent our time travelling in a car or on foot. Can you see my boy? Good I wasn’t there on the boat with them. I’d be nervous to let him sit on the edge of the boat. But I was glad he had this experience. At least he won’t be as wimpy as his mommy. 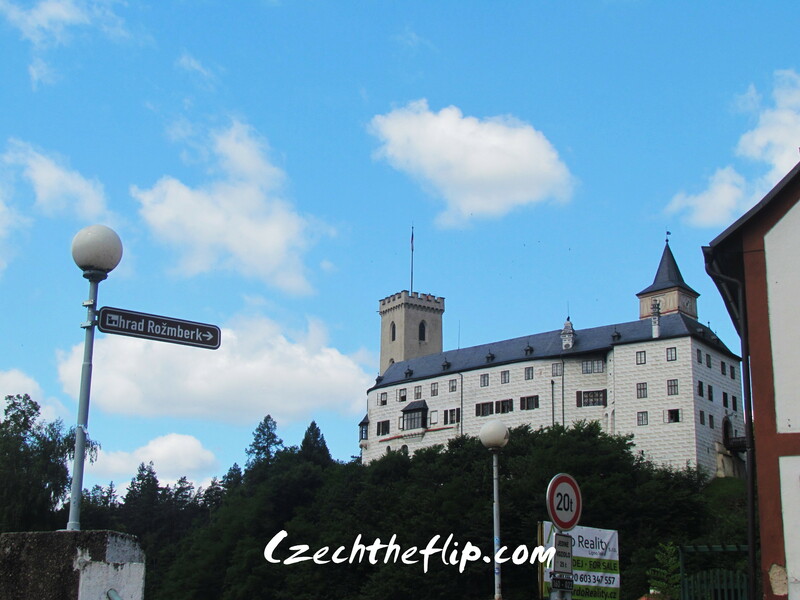 Anyhow, my daughter and I followed them to Rozmberk where we all had lunch, and I had the opportunity to snap this photo of the castle. I didn’t get the chance to go inside, but was happy viewing it from the outside. Under pristine waters, it looks very serene. The rest of the afternoon was a bonding trip for me and my daughter. 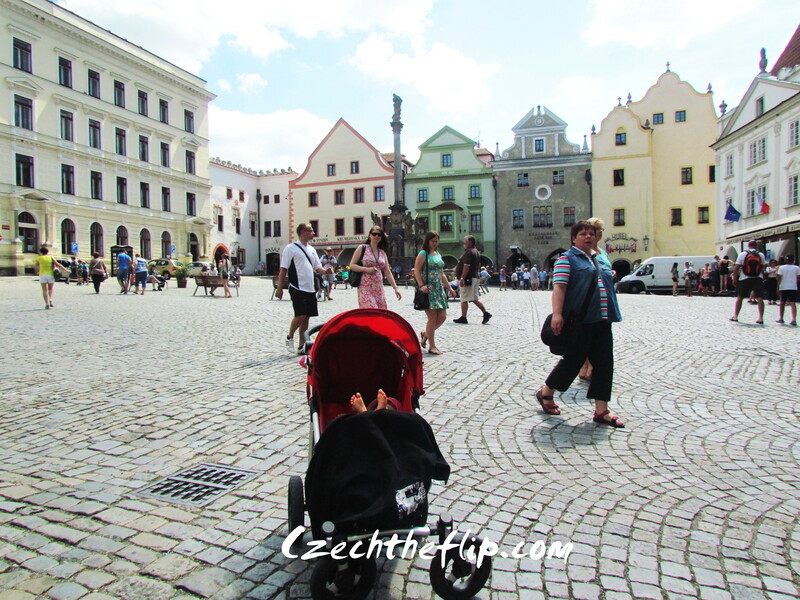 We went to the medieval old town, Cesky Krumlov. Look who’s enjoying the ride. We also went to a small park adjacent to the castle where we relaxed a bit…..
…and we had our first “date” in a coffee shop. Although I was the only one who had coffee. All in all the trip was a great bonding experience for me and my daughter, and for my husband and our son. Hopefully next time, we will all be in the raft together. 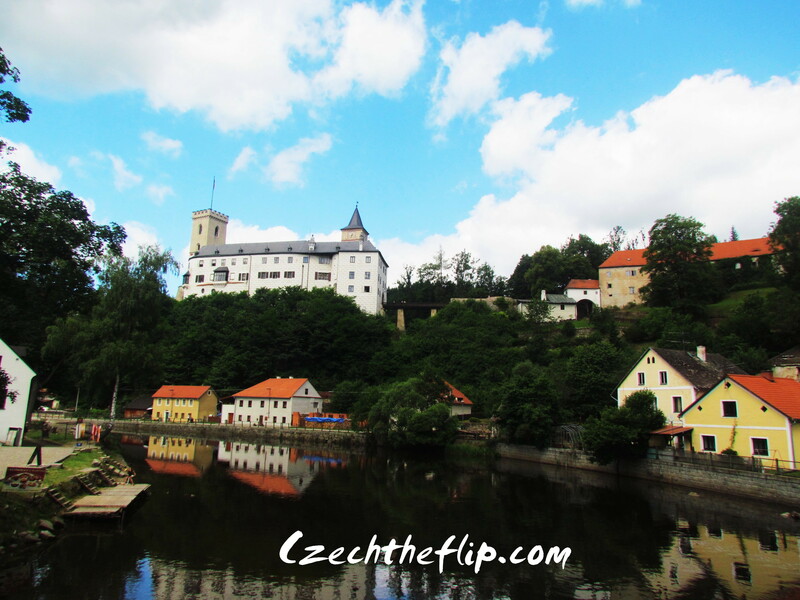 I never knew they had rafting in Czechoslovakia. Thanks, Grace, for an interesting post.